57 of the Hurricanes region’s top under 18 years of age rugby players, have been selected to take part in the annual Development Camp being held in Feilding, from 6 to 10 July. Representing 21 different secondary schools, 17 of the players are from Wellington, 15 from Hawkes Bay, 11 from Manawatu, 6 from Poverty Bay, 4 from Wairarapa-Bush, 3 from Wanganui and 1 from East Coast. Camp Director and Hurricanes Development Coach Darren Larsen is looking forward to working with those who’ve been selected. Convenor of Selectors, David King said the quality of those nominated by their schools made the process of selecting a final group to participate in the Camp a challenging task. 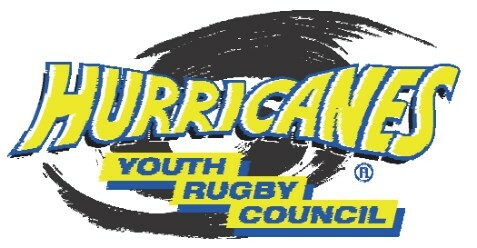 The U18 Development Camp forms part of the comprehensive programme for teenage rugby administered by the Hurricanes Youth Rugby Council. Council Chairman, Gordon Noble-Campbell said. “This Camp is but one of a number of exciting development opportunities for players in our region this year, including the Under 16 Tournament, Under 19 Seeding Tournament for the Jock Hobbs Memorial Tournament and the Under 20 Heartland Development Series. The players selected are as follows. Levi Harmon, Bruce Kauika-Peterson, Ben Taylor, and Ueta Tufuga Piopa. Tiaan Falcon, Tim Farrell, Mathias Konia, Mike Livingston, Lincoln McClutchie, Tyla McNeil, Marino Mikaele-Tuu, Antonio Mikaele-Tuu, Al Moimoisea, Wirangi Parata, Ethan Pritchard, Pouri Rakete-Stones, Jack Smith-Ballingall, Danny Toala, and William Tremain. Sione Asi, Chris Cairns, Tai Durie, Tevita Fehoko, Liam Giltrap, Braydon Iose, Jack Kinder, Vilimoni Korori, Jona Nareki, Thomas Stewart, and Regan Sword. Saigeon Carmichael, Angus McDonald, Hunter Mokomoko, Michael Tabudravu, Naera Tipoki, and Isaia Walker-Leawere. Asafo Aumua, Josh Brown, Kevin Fauatea, Alex Fidow, Losi Filipo, Kemara Hauiti-Parapara, Jimmy Hewitt, Maile Koloto, Henry Mexted, Brandon Mudzekenyedzi, Sefo Numia, Ben Power, Billy Proctor, Jarimar Shuster, Thomas Umaga-Jensen, Peter Umaga-Jensen and Foliga Vaalepu-Austin. THE RUGBY WORLD CUP IS COMING TO NGATI POROU!